A lyrical and intimate account of how a poet, in the midst of a bad divorce, finds consolation and grace through viewing the paintings of Vermeer, in six world cities. In the midst of a divorce (in which the custody of his young daughter is at stake) and over the course of a year, the poet Michael White, travels to Amsterdam, The Hague, Delft, London, Washington, and New York to view the paintings of Johannes Vermeer, an artist obsessed with romance and the inner life. He is astounded by how consoling it is to look closely at Vermeer's women, at the artist's relationship to his subjects, and at how composition reflects back to the viewer such deep feeling. 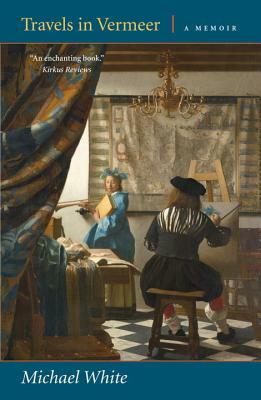 Includes the author's very personal study of Vermeer. Through these travels and his encounters with Vermeer's radiant vision, White finds grace and personal transformation.